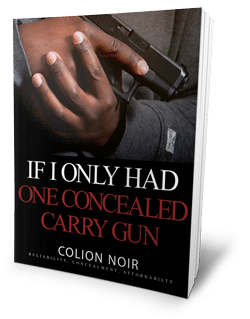 In the coming weeks, Colion Noir will shine a light on America’s forgotten men and women and hold to account the failed state and local leaders who scapegoat guns, while their people suffer from violence, gangs, drugs and poverty. From Chicago to Seattle, New York to California, Colion Noir will use his platform to tell the stories the media won’t. And to every local reporter, state journalist, podcaster, blogger or anyone willing to spread the word about Colion’s important mission, let him know. Email NOIR@NRATV.com for more information, resources and potential interviews. And when you’re finally being held accountable, you’ll look up and you’ll know that… NRATV was here.